Lambertville Station Restaurant offers sophisticated casual and fine dining in one of the City's most iconic and beautiful buildings. Featuring a variety of distinct venues including white table cloth dining rooms and a canal side outdoor dining area, Lambertville Station singularly encapsulates the scenic and historic charm of Lambertville. 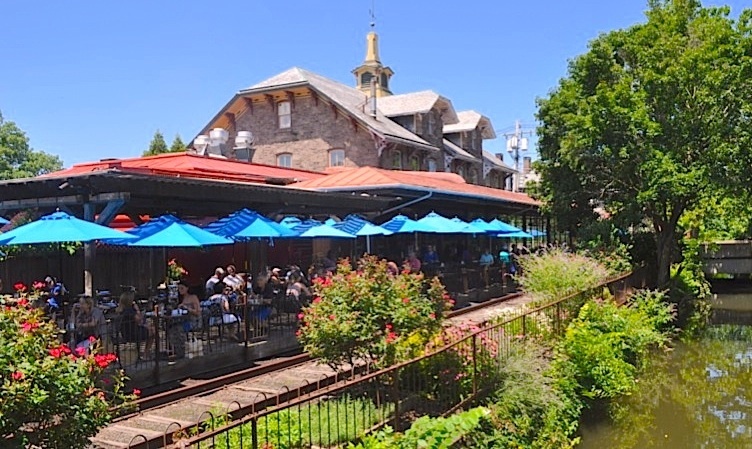 Lambertville Station is an area attraction on it's own merit, drawing visitors from far and wide seeking to savor it's culinary delights on the banks of the Delaware River. Yet the truest testament to the Station's quality of fare is it's loyal local following. Residents and tourists alike recognize and appreciate the combination of consistently fabulous food and utterly unique ambiance. Don't miss out on one of the area's signature restaurants, come experience the Lambertville Station today!